Do you think of Canada as that “nice” country with free health care, majestic woodlands, and polite people? 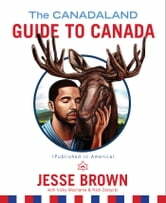 The CANADALAND Guide to Canada (Published in America) is an outrageous exposé of Canada’s secrets, scandals, and occasional awkward lapses in proper etiquette. -Canadian cuisine and sexuality: Do they exist? -What does “sorry” actually mean? -Justin Bieber, Rob Ford, Malcolm Gladwell: Why? -Should I f*** the prime minister? This absurd guide digs up everything from buried rage to buried oil, uncovering Canada’s bizarre history and shocking present. One thing is certain: you’ll never look at a Canadian the same way again.